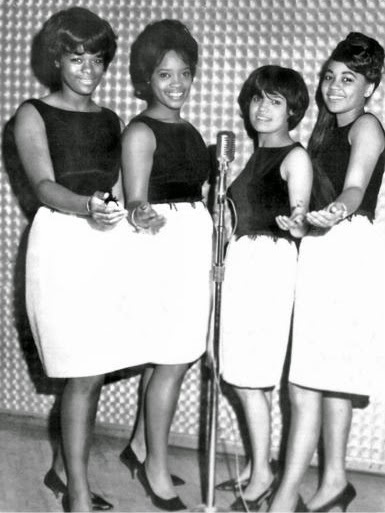 In 1963 the former Crystals members Mary Thomas and Myrna Giraud formed along with Paulette Holland and Carmen Santiago 'The Buttons'. The group recorded “Huckleberry Finn” b/w “Absence Makes The Heart Grow Fonder” for the Ember label. The single was released in January 1964, but failed to chart. 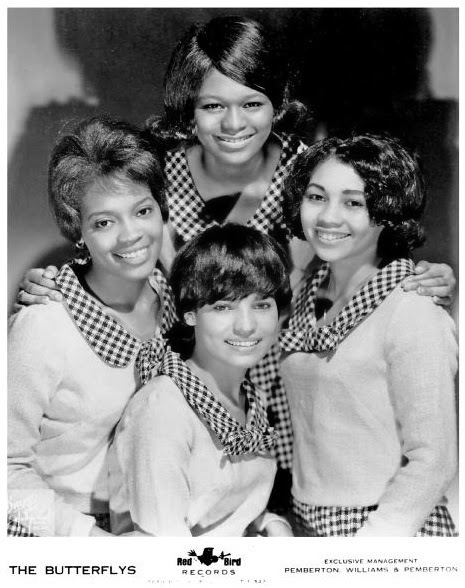 They switched to Red Bird Records and changed their group name to 'The Butterflys'. In August 1964 their first single “Goodnight Baby” b/w “The Swim” was released and made it in the middle of the Top 100. A second single—“I Wonder” b/w “Gee, Baby, Gee”—was recorded and released at the end of 1964. This single bubbled under the Hot 100. The group broke up in 1965 for several reasons. In my humble opinion "I Wonder" is one of the greatest girl group recordings ever made. Thank you, Krobi, for telling us about this gifted group, The Butterflys.